Keep pores clean and open to prevent blackheads. Blackheads, also called open comedones, are clogged pores. The dirt and oil trapped in the pore oxidize and turn black, leading to the appearance of small black spots in the skin. Black heads are most frequently visible on the t-zone; forehead, nose and chin, but may also be visible on other parts of the body. Blackheads can be unsightly and embarrassing, but fortunately there are home mixtures for removing blackheads. Blackheads occur when the skin's pores become clogged with dirt, makeup, oil or dead skin cells. 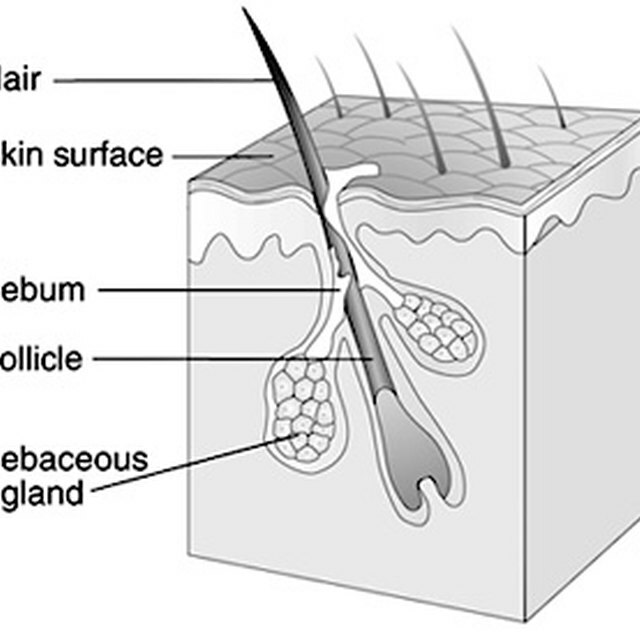 Skin that overproduces oil or that is not properly or frequently cleaned is more likely to produce blackheads. To begin removing blackheads, apply heat to soften the skin and open the pores. Apply warm honey to your skin and let it sit for five to 10 minutes. Remove it with a warm, damp towel. Exfoliation removes dead skin cells and surface dirt and oil that can clog pores. It also increases circulation and keeps skin smooth and soft. To exfoliate without expensive scrubs, make a thick paste of baking soda and water, and gently massage it on your skin, working in a circular motion for 30 to 60 seconds. Rinse and dry. Repeat this once or twice a week. Apply a spot treatment to draw debris out of skin and tighten pores. Make a paste of powdered oatmeal (without added flavor or sweetener) and rose water or of equal parts fresh lime juice and ground cinnamon. Apply the mixture to the affected area. Rinse off after 10 to 15 minutes. Repeat for several days until blackheads are no longer visible. Some people naturally produce more oil and may never be able to completely prevent blackheads. Reduce the number of blackheads and improve the appearance of your skin by routinely cleansing and exfoliating your skin, removing makeup daily and drinking plenty of water.